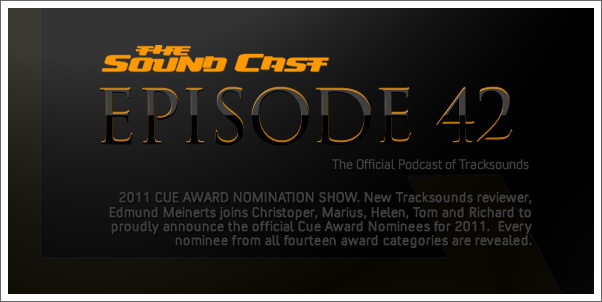 New Tracksounds reviewer, Edmund Meinerts joins Christopher, Marius, Helen, Tom and Richard to proudly announce the official Cue Award Nominees for 2011. Every nominee from all fourteen award categories are revealed. Not only that, but you also get immediate reaction and discussion to each category. What other award show does that? 87:12 — What happens next? How you can vote in the Cue Awards.